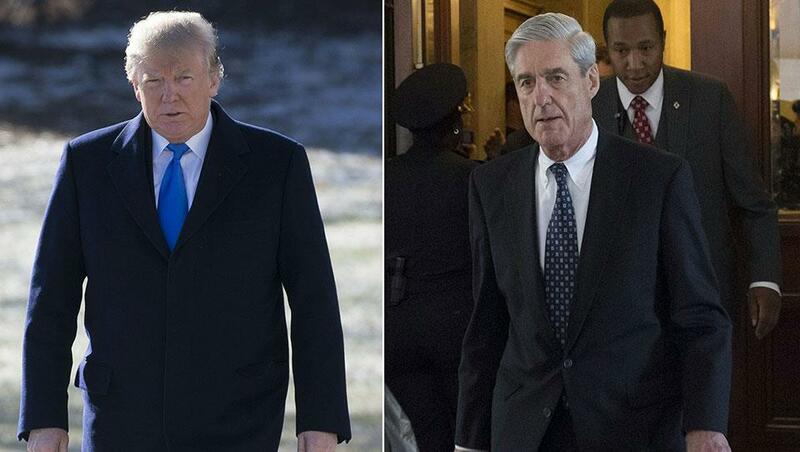 WASHINGTON, March 22 (Xinhua) -- Special counsel Robert Mueller has submitted a confidential report to Attorney General William Barr, signaling an end to the nearly two-year Russia investigation, the U.S. Department of Justice (DOJ) said Friday. The DOJ notified Congress late Friday that it had received Mueller's report but did not describe its contents, according to The Washington Post. The report was delivered earlier Friday afternoon to the office of Deputy Attorney General Rod Rosenstein who appointed Mueller in May 2017 and, within minutes, to Barr, CNN reported, citing a DOJ official. The official described the report as "comprehensive." No details of Mueller's findings have been released. It is not clear how soon they will be made public. In a letter to House and Senate judiciary leaders, Barr said he "may be in a position to advise you of the special counsel's principal conclusions as soon as this weekend." The attorney general also said he remains committed "to as much transparency as possible" and would keep them informed "as to the status of my review." The Mueller-led inquiry focused on possible collusion between Donald Trump's campaign and Moscow during the 2016 presidential elections and whether the president obstructed justice. The White House said in a statement Friday that it has not received or been briefed on the special counsel's report. "The next steps are up to Attorney General Barr, and we look forward to the process taking its course," the statement added. Mueller is required to submit a report to Barr at the conclusion of his investigation. Barr, in turn, is required to notify Congress about Mueller's findings. According to special counsel regulations, the report must explain Mueller's "prosecution or declination decisions." Barr has said he will write his own report summarizing Mueller's findings. In a joint statement, Senate Democratic Leader Chuck Schumer and House Speaker Nancy Pelosi called upon Barr "to make the full report public and provide its underlying documentation and findings to Congress." "Attorney General Barr must not give President Trump, his lawyers or his staff any 'sneak preview' of Special Counsel Mueller's findings or evidence, and the White House must not be allowed to interfere in decisions about what parts of those findings or evidence are made public," the statement said. The probe, which has shadowed Trump's presidency, has led to felony charges against 34 people, including six Trump associates, and three companies. CNN reported Mueller is "still special counsel" but his investigation is "complete" and the special counsel office is not recommending any further indictments, according to DOJ officials. Trump has repeatedly dismissed any collusion between his campaign and Moscow, while slamming the wide-ranging inquiry as a "hoax" or "witch hunt." Russia has denied any meddling in the 2016 presidential election. Trump has been ramping up efforts to discredit the Mueller report. "I have a deputy, appoints a man to write a report on me, to make a determination on my presidency," Trump said in an interview with Fox Business Network released Friday morning. "People will not stand for it." Earlier this week, Trump told reporters he doesn't understand why Mueller is writing a report, but he wants the general public to see it anyway.